Jesus Astonishes And Amazes The Way Of Salvation Blazes Spoke Unprecedented Phrases Satisfies Our Lives In all Phases From The Dead His Father Raises So We Give Him Everlasting Praises While His Grace Forever Amazes! 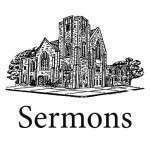 The last sermon on the book of Mark - a summary. Jesus Perfectly Preserves His Precious Word So What He Says Is True You’ve Heard His Speech Is Never Wrong Or Slurred His Character Is Never Blurred New Life In You His Word Has Stirred And Everlasting Joy Conferred! The trustworthiness of God's Word. Jesus Rose Up From The Bitter Grave And Lives – New Life To Sinners Gave For Everyone He Came To Save So We Could Be His Holy Slave, Wholly Behave And Him Alone Forever Crave! Jesus Was Buried In A Rich Man’s Tomb He Took His Father’s Wrathful Doom It Seemed That Life Would Not Resume And All Men’s Hearts Were Filled With Gloom But He Would Rise – All Power Assume! Jesus Was Utterly Forsaken In Darkest Cries His Heart Was Shaken The Curtain Rent Was Overtaken He’s God’s Son There’s No Mistakin’ From The Grave He Would Awaken So That We Won’t Be Forsaken! Jesus Couldn’t Carry His Cross To The Place Of The Skull Where All Seemed Loss The Wrath Of God He Would Exhaust To Purchase Us At Greatest Cost! Jesus Was Severely Mocked And On His Head They Spit And Knocked By Death Our Lowly King Was Rocked But In Three Days They’ll All Be Shocked He Rose And Heaven’s Gates Unlocked! Jesus Is Our Perfect Substitute He Was Killed Like A Murderous Brute Though He’s Innocent Without Dispute Yet Silent And Mute Our Sin God Did To Him Impute So We’ll Have And Bear His Righteous Fruit!